Keep Our Assets Christchurch (KOA) is a coalition of various organisations and political parties (see our Website, address below, for details) united by the common belief that the people of Christchurch should continue to own and control the extensive portfolio of publicly-owned assets held by the City Council and Christchurch City Holdings Ltd. The cost of the quake rebuild is being used by both central Government and business as an excuse to try to pressure the Council into wholly or partly selling all or some of those assets. KOA believes that the need has never been greater than now for the people of Christchurch and our elected representatives to resist this pressure and continue to commit to public ownership of our assets. 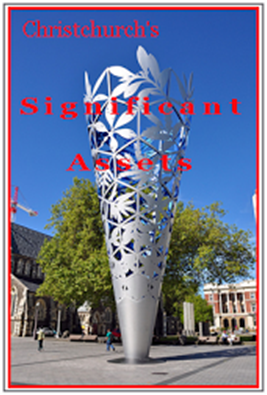 “I hereby pledge my support for keeping all significant public assets and services of the citizens of Christchurch in public ownership and control, accessible to public scrutiny, and having a primary purpose of serving the needs of our community and our economic, social and natural environment”. We have already e-mailed all candidates inviting them to sign and have received a number of responses (yes, no, and non-committal). Of the two major Mayoral candidates, Paul Lonsdale has said “no” and we haven’t heard back from Lianne Dalziel (at the time of writing). The People’s Choice team has committed all its candidates to the Pledge and hopes to get as many as possible to the public signing. Prior to voting papers being mailed out, we intend to make public a list of those who have said “yes” to signing the Public Ownership Pledge.